We host a discussion with members of the Luminous Intervention Project who hosted a piece during Light City Baltimore. 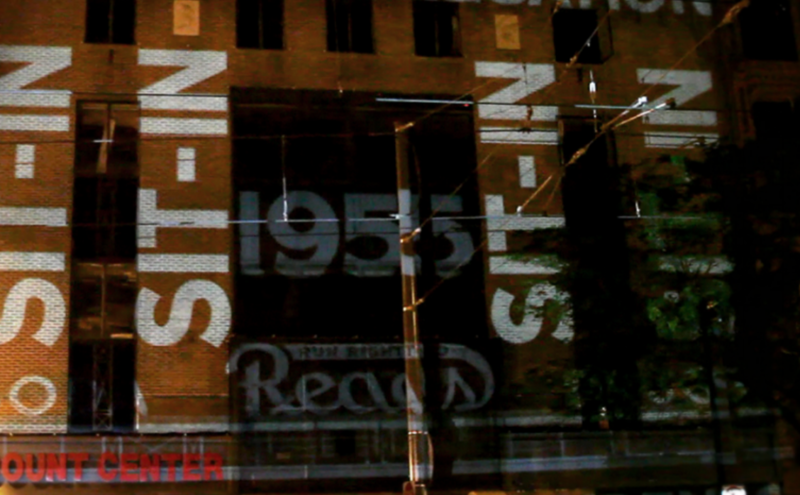 During the festival the group presented projection based collages, highlighting issues surrounding Baltimore City’s government: police violence, education and recreation, and housing. We talk with: Mike McGwire, founding member of Luminous Intervention, and President of Research Associates Foundation; as well as Baltimore based artist Olivia Robinson, Founding member of Luminous Intervention, Faculty member of the Fiber Department at MICA, and a Member of Art-Part’Heid.